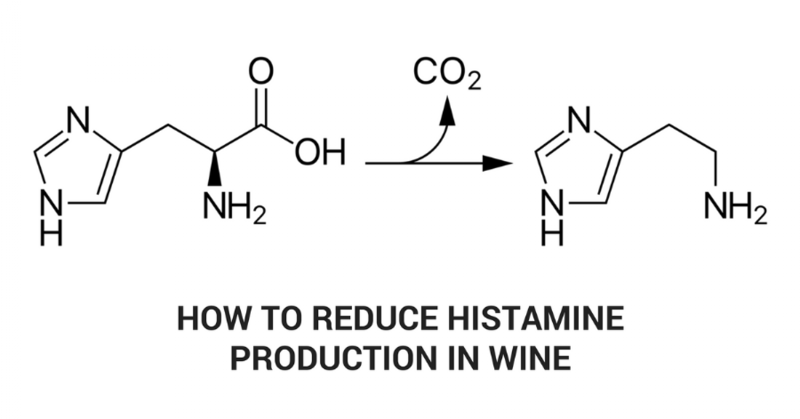 Histamine is produced by enzymatic decarboxylation of the amino acid histidine. 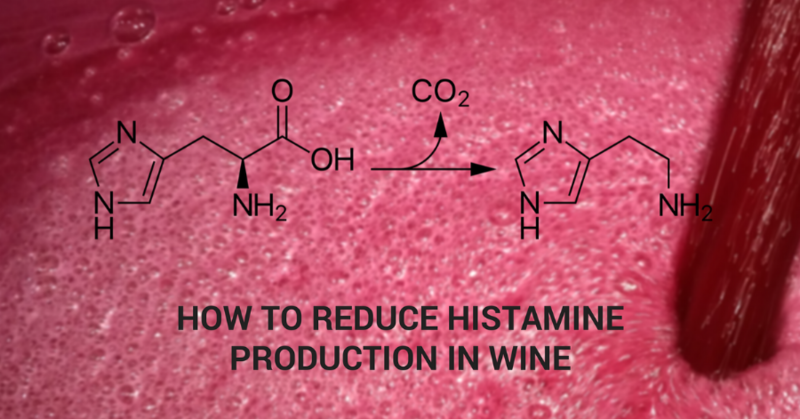 It is assumed that most histamine in wine is produced by histidine decarboxylases from lactic acid bacteria during the malolactic fermentation. Many authors have considered O. oeni as the dominant species during the MLF that produces histamine in wine. This BA formation seems to be strain-dependent. The objectives of this study were to identify the microorganism responsible for histamine formation in a winery from Ribera del Duero region (Spain), and the selection of a proper O. oeni MLF starter among the indigenous strains, unable to produce BA, able to dominate the population and decrease the histamine levels in wines.